It's time to announce another book club book, and this month we're picking something a little different. It's a book I've been wanting to read for a while, and since it will soon be a movie it's the perfect time to make it part of Mom's Book Nook! If you've never joined us for Mom's Book Nook, it's an online book club just for moms. My co-host Meghan of Playground Parkbench and I announce a new book club pick on the first Monday of each month, then we get together to discuss on the last Monday of the month in our private Facebook group. Just like a regular book club - except you can wear your PJs. I hope you'll join us! 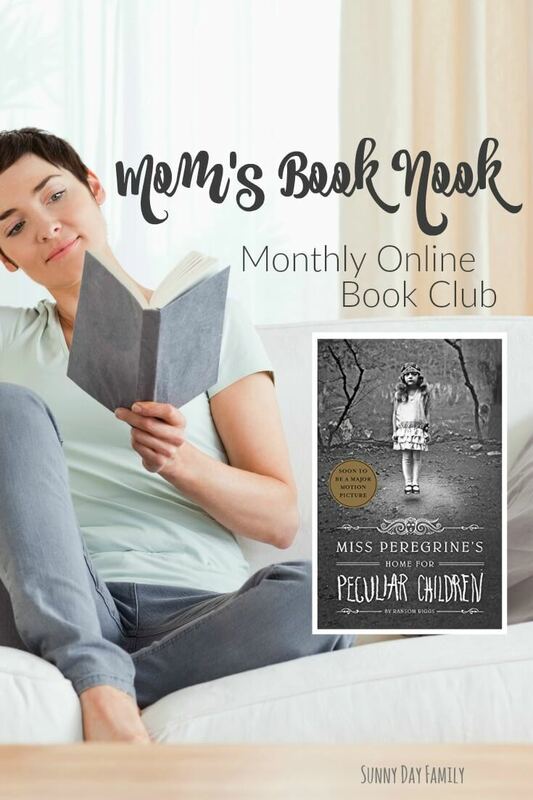 Our Mom's Book Nook pick for April is Miss Peregrine's Home for Peculiar Children by Ransom Riggs. 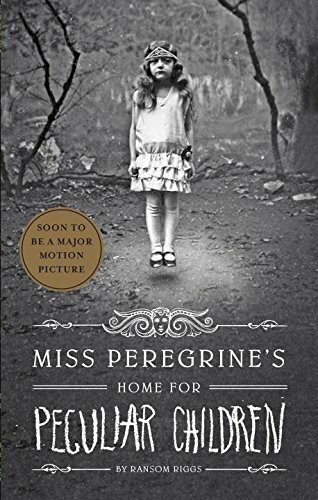 Actually a young adult novel, this book has captivated audiences of all ages and will soon be a major motion picture directed by Tim Burton. I can't wait to get started on this book and I hope you will join us to chat about it on Monday, April 25 at 9:00pm Eastern time in our new Mom's Book Nook Facebook Group. See you there!